How BIG DATA helps you? Your business might be storing the data at different places in various different format and data sets and majority of business are analyzing those data separately in order to get business intelligence reports in chunks but with BIG DATA we read data from all the different storages and in different format doesn’t matter what it is? Data can be captured from various different networks or sensors around the world which constantly capturing the data and transmitting over the internet. Since we captured and curate whole data and put it in a fashion that can be easily updated, expanded and upgraded to after we generate a dynamic reports which can be updated real time as the data sets or data changes or updated. Complex queries are fired in order to generate various patterns and analytics reports which does not show data only in machine language where you need to be expert of machine learning but also in a human readable formats like charts, graphs. Once we know how much data we have, Where data is stored and in which formats they are then we compile those billions of records in a format that can be used in any possible. Also, we curate this data in a manner that in the future we can expand, modify in the future as well. In order to store all these data at one place we store all those data-sets on cloud or on demand server to make sure the storage are scalable enough that it can be used in the future as well. Now a day’s all businesses generates lot of data hence it is important to keep our data-sets up to date in order to get real time updates. 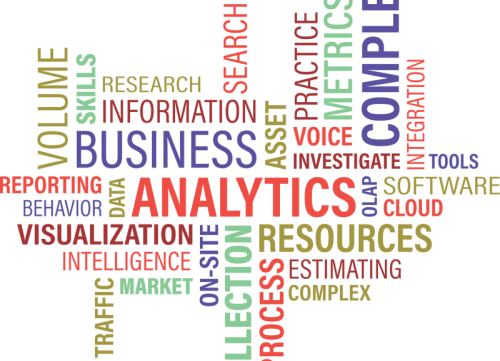 We need to manage business data which does not give us only past intelligence report but also do predictive analysis which involves capture and updating data and machine learning as well. This entire process keep adding more and more data and more complex patterns. Tools Used for BIG DATA? At WebRence we use Apache™ Hadoop® in order to execute BIG DATA PROJECTS! Since it under umbrella of Apache so it must be open source which have no limitation to use for general public and anyone can modify, tweak or replicate it. HDFS – Apache Hadoop contains of a storage part and given a name “Hadoop Distributed File System”. Utilized to use distributed storage. It has Capability to curate and process giant number of data records OR data sets. Whole system have been created in a fashion which automatically optimize and adjust the datasets itself in the event of hardware failur.